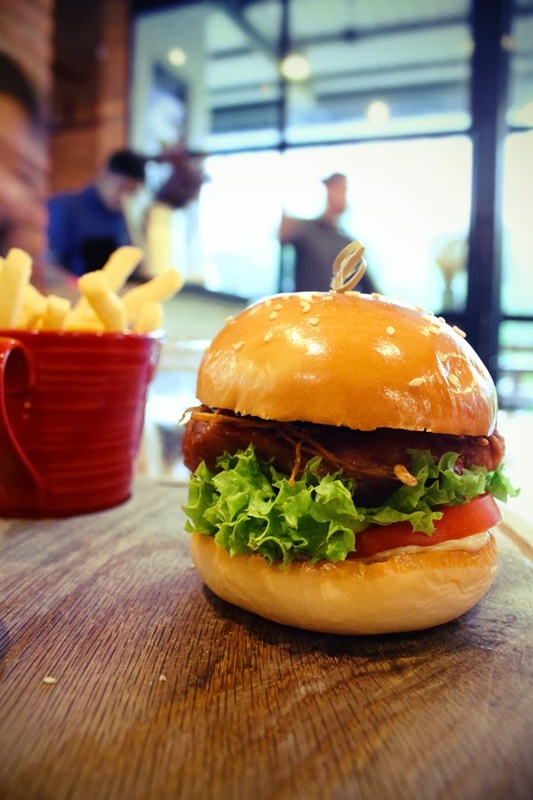 Nestled within the lush greenery of Bishan Park, GRUB is a casual bistro that offers responsible eating, an initiation which promotes the usage of natural ingredients, without the addition of preservatives, additives or flavourings. Moreover, the head chef Melvyn and his wife, Amanda, who are better known as the people behind Cookyn Inc., also believe that responsible eating starts with good practices by the farmers, fishermen and artisanal producers. For a start, I do not really understand why the name "grub", but they made finer dining in the park possible without having to burn a big hole in one's pocket. One more thing, they operate on a "first come first serve" basis, which means they do not take reservations. Hence, do prepare for a long queue if you are later than their opening hours. The snaking, long queue at Tony Roma's always put me off when I was hunting for dinner at Suntec City. Despite recommendations and ravings from most of my friends, I never really knew what was so good about their famed baby back ribs. Paradoxically, being a true blue Singaporean, long queues never fail to repel me away (and that is probably why I haven't tried out Dim Ho Wan and Krispy Kreme yet.) Anyway, it was my friend's birthday.. and Tony Roma's was selected. 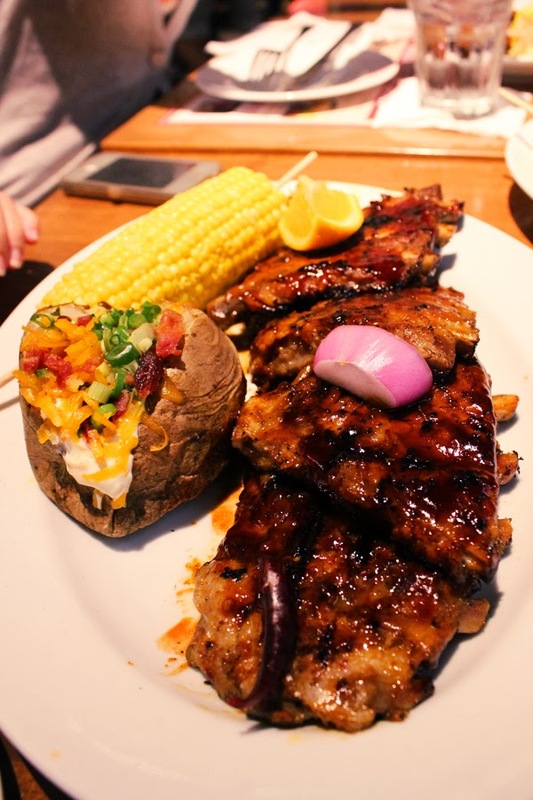 With more than 150 outlets worldwide and two locally, Tony Roma's take pride in their baby back ribs which are marinated with home-made sauces and then, slow-smoked to mouth-watering perfection. Other signatures include char-grilled black angus steaks, seafood and other varieties of entrees and salads. After the long wait, looking at the menu already calls for some serious drooling to start. Having seen the 2012 fiction war film 'Battleship' - which features impressive special effects amidst the battle between human's naval ships and alien war-machine, getting onto one is always a far dream for myself. I mean, there is no chance of me embarking on a voyage when I was posted to armed forces, neither do I see myself signing some military contract, hence I was pleasantly surprised when the Singapore Navy invited yours truly and a few other fellow bloggers to board a warship to witness how the naval chefs whipped out a meal for 400 personnel, and of course, a little food-tasting, as well as to participate in a private tour around RSS Endurance. 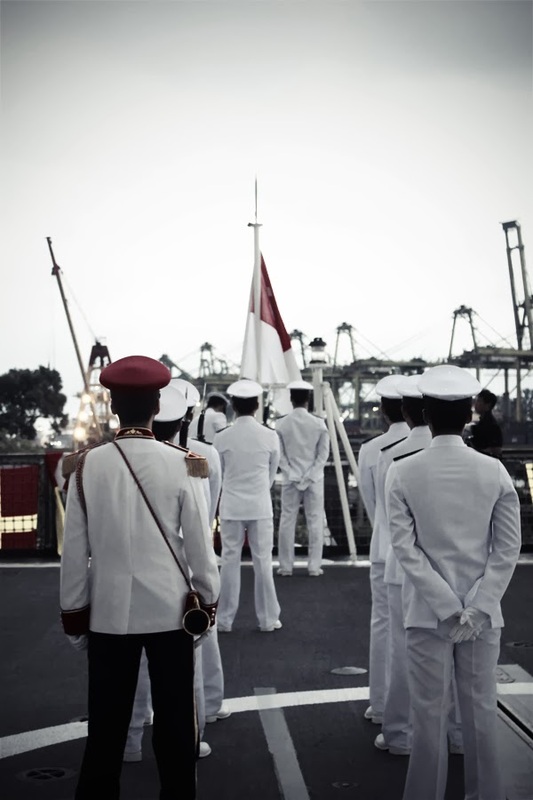 The ship, also known as Warship 207 was the first Singapore Landing Ship (LST) to be deployed to the Gulf. Featuring a whopping 141 metres length and a depth of eight stories high, the LST is usually manned by 81 crew, but its carrying capacity may be augmented to suit other support functions such as logistics specialists and medical personnel for different operations. Past operations include peacekeeping missions, humanitarian assistance and disaster relief, as well as, multi-national counter-piracy operations. 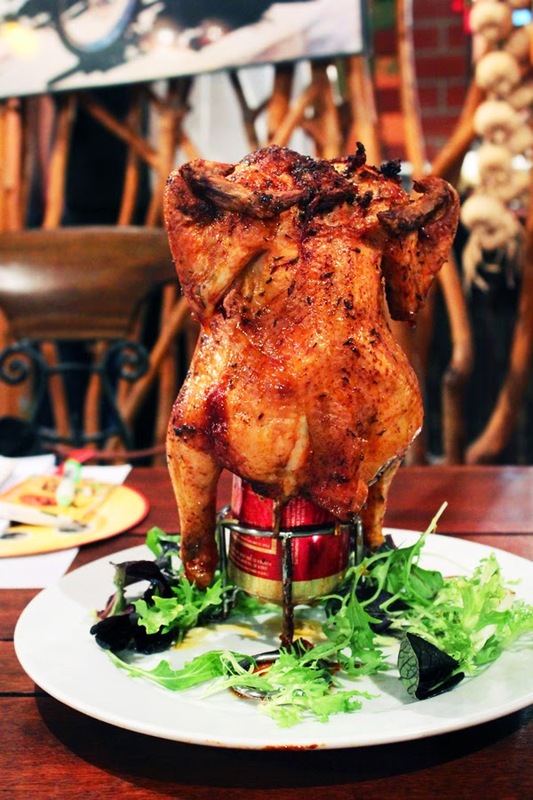 Due to the over-priced French affair locally, indulgence for dishes, like foie gras and duck confit are indeed hard to come by, until the recent opening of Poulet and a personal discovery of Saveur. Nestled along Purvis Street in Bugis, Saveur is the brainchild of two young food enthusiasts, who has worked at top French restaurants, like Guy Savoy, Fifty Three and Tetsuya’s in Sydney. 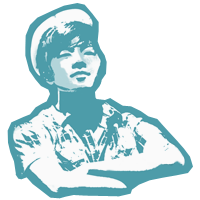 Their goal was never less than bringing good and affordable French cuisine to people from all walks of life. Being said that, be prepared to queue up if you are 5 minutes later than their opening hours. Despite being a full-fledged French restaurant, most of their dishes are fusions between the former and a tint of the local Singaporean taste. 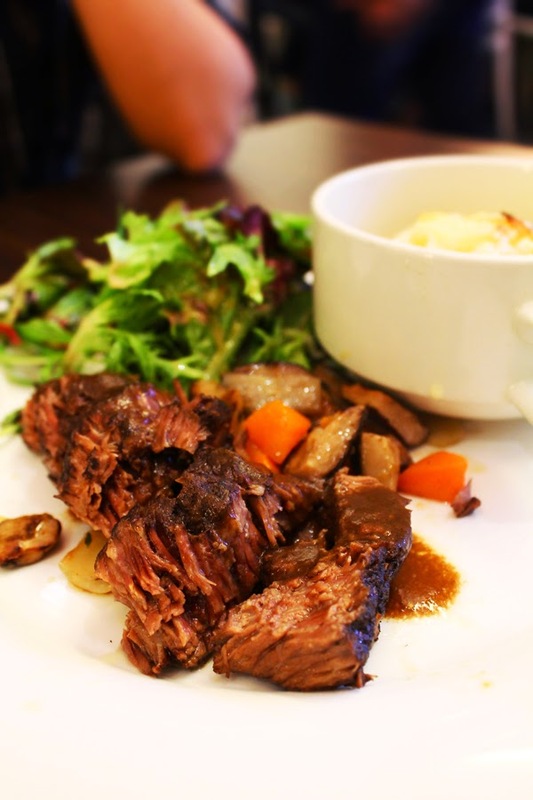 Take for example, Saveur's rendition of Beef Bourguignon (S$13.90) was not the typical beef chunks, which one expected to be simmered in thick brown sauce and wine. Nevertheless, the beef slices were tender and juicy, with seasoning kept to the minimal. The dish is completed with scalloped potatoes and salad greens. If there's one thing that Singaporeans can do well, it's definitely eating, and we owe this ability to the copious amount of good food in Singapore. Due to the large influences from other countries and our ethnic diversity - which mainly includes the Chinese, Malays, Indians and Westerners, Singapore is concentrated with food from all around the world. At this shiny red dot, the blessed people of Singapore can queue endlessly for hours all across the island in the name of good food, partially due to our kiasu spirit (but that's not the point). I have known people who have migrated or went abroad for work/studies, and most of the time, they miss Singapore cuisine a hell lot. Skip the expensive and swanky Marina Bay or celebrity restaurants, this issue brings you to our local and much more affordable hawker centers, like Lau Pat Sat, Old Airport Road or Chomp Chomp. Without furthur ado, here are 10 food you definitely should try when you are in Singapore. 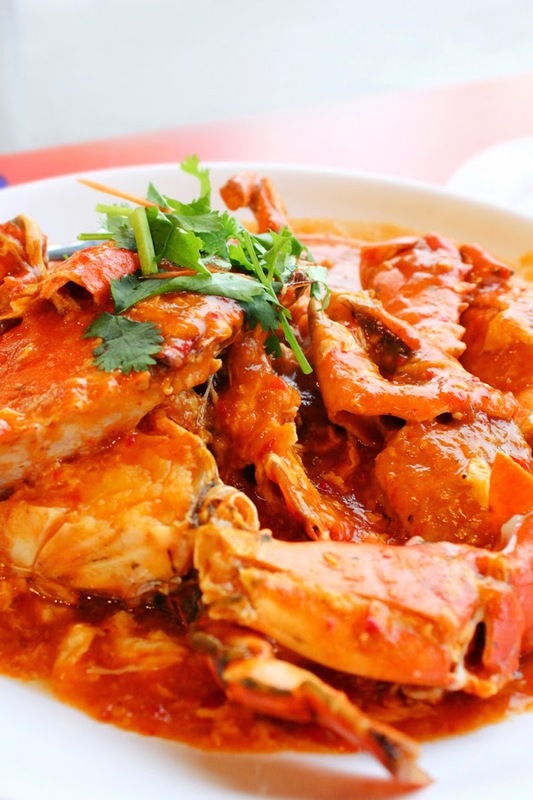 Ranked #35 on CNN Go World's 50 Most Delicious Foods (2011), Chilli crab is considered Singapore's national dish. Despite the "fiery" name, it is not spicy at all, as the gravy contains large amount of tomato gravy. The famous dish is usually accompanied by toasted buns (man-tou), which are usually dipped into the semi-thick, savoury sauce. Nestled comfortably on the streets of Thong Lor 13, After You proved to be a popular dessert cafe with endless long queues on the weekends as locals and tourists drop-by for brunch, dinner and mainly, their famed desserts. Currently, the cafe has a total of 8 branches all across Bangkok, hence if you want a shorter queue, skip the shopping mall branches and head to the one at Thong Lor instead. Nevertheless, with its famed reputation, After You is definitely in our cafe-hopping list. 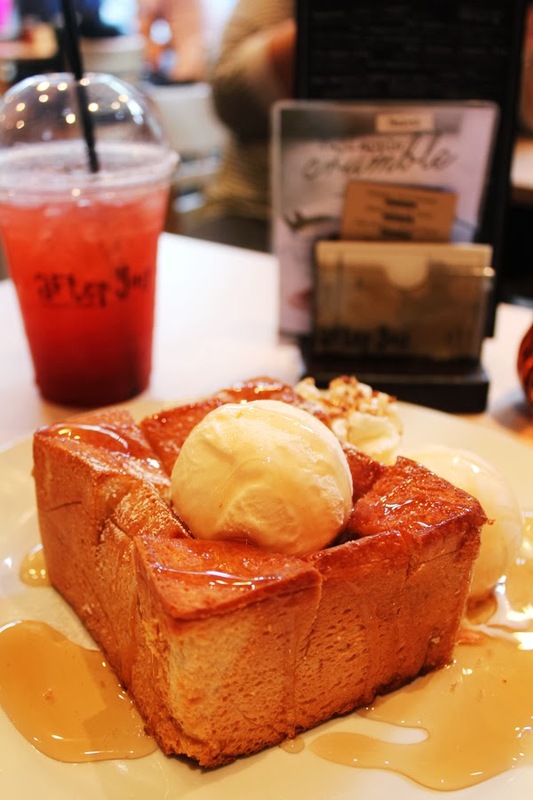 Most people came for their famous Shibuya Honey Toast - cold, dense vanilla ice cream served with warm, thick butter toast and whipped cream. Now, the highlight lies in their home-made honey that could easily satisfy anybody's sweet tooth. If that is enough to get you addicted, take-home jars are available as well.